Jeanne and Irving Mathews, whose family owned Frost Brothers, a Texas high-fashion retail chain, began collecting Art Nouveau and Art Deco glass at Paris flea markets in the 1960s, on buying trips for the store. What began as a hobby soon turned into a passion for the couple. Over three decades of active collecting—beginning at a time when few people were interested in French art glass of the late 1800s–early 1900s—the Mathews developed one of the finest collections in the United States, along with a formidable library on the subject. Jeanne Lang Mathews stopped collecting glass on the death of her husband, in 1994. 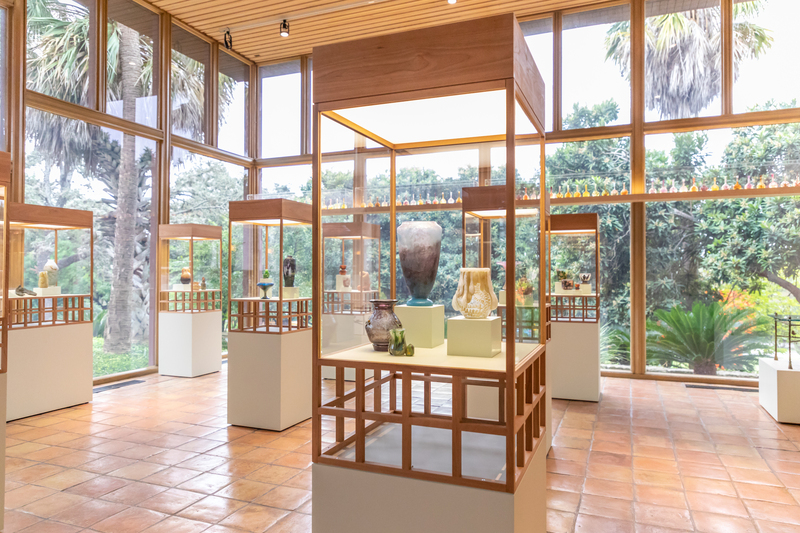 She bequeathed their collection of more than 150 examples of art glass to the McNay, where it complements paintings, theatre designs, and other works of that fin de siècle era. Now, for the first time, the Jeanne and Irving Mathews Collection of Art Glass is installed together in a gallery dedicated to the collection. Masterpieces of the period, including a unique green vase decorated with two beautifully applied white mice by Daum Frères(Daum Brothers), of Nancy, France, are on view in the Brown Sculpture Pavilion. This exhibition was organized by Heather Lammers, Collections Manager & Curator, McNay Art Museum. The Jeanne Lang and Irving Mathews Maintenance Fund is generously funding this exhibition. Special thanks to Harold Wood and John O’Brien.